Welcome back, folks! Who’s ready to learn more about the five companies who were awarded licenses to print money uhhh I mean, grow weed for Virginia’s medical marijuana program? Each awardee will be a completely vertical operation. That means they’ll grow their own cannabis, process the CBD and THCa themselves, and sell it from their in-house dispensaries. Those locations are included below, of course! Journalism Sponsored by PuffPuff DC! PharmaCann will operate in Health Service Area 1, which encompasses Charlottesville and the Shenandoah Valley. The PharmaCann dispensary will be in Staunton. PharmaCann’s CEO is Teddy Scott, Ph.D. He co-founded the company in 2014. Scott was previously an American Lawyer Top-100 firm equity partner, co-founded Accelerated Pharma Inc, advises a medical technology incubator, and his Ph.D is in molecular biophysics. I expect he hunts for lost Incan cities in his spare time. PharmaCann operates 6 facilities in Illinois serving Chicago- four dispensaries and two grow operations. They have also been awarded 1 grow op and 3 dispensary licenses for Pennsylvania’s medical marijuana program. PharmaCann was recently purchased by MedMen. When you’re talking about Big Cannabis, MedMen is in that conversation. Their portfolio includes operations in California, Nevada, Arizona, New York, Florida & Illinois. Well, there’s the PharmaCann connection right there! NoVA, my baby, my boobalah! Aquaint yourselves with Dalitso, your Area 2 cannabis grower/processor/dispensary. They’ll be handling Arlington, Alexandria, Fairfax, Loudoun, and Prince William Counties. Dalitso’s website is pretty bare at the moment but it does list an address in Alexandria and a phone number. I’m sure they’ve got their hands full as a brand new cannabis company! Dalitso was started by a group of Virginia-based lawyers, pharmacists, and real-estate professionals that partnered with “established medical cannabis professionals” according to this blog post I found. Ooh, I wonder who? Dalitso is co-owned by Greg Kennedy, who earned his MBA from GW and a JD from Catholic University. A JD is like a doctorate for Law. I’m something of a bird lawyer myself, y’know. Kennedy expects their Manassas dispensary to open sometime in 2019. You already know Green Leaf from Maryland, silly billy! Operating out of Frederick, gLeaf is one of the few Maryland locals that earned a grow license in the Old Line State. Now they’re bringing the act to Richmond and the surrounding counties of Area 4! Green Leaf’s dispensary will be located in the South Richmond neighborhood of Manchester. Green Leaf Medical, LLC’s CEO is Phillip Goldberg, a Montgomery County native who has been helping guide state cannabis legislation as President-elect of the Maryland Cannabis Industry Association. More bios of the gLeaf crew here. I’ve been meaning to get to a review of Green Leaf forever. I didn’t love their early flowers and I tried several, but that was last summer. 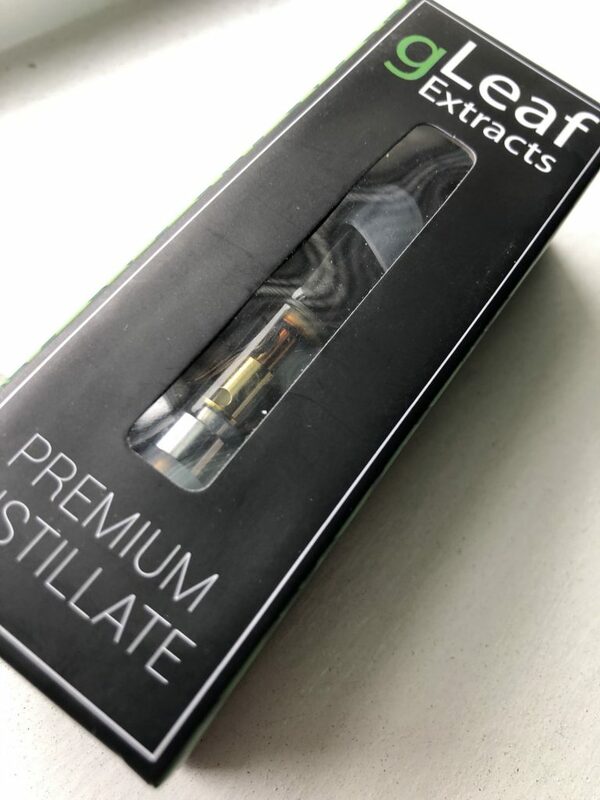 I did have one of their new distillate carts recently. It hit smooth and tasted like Fruit Stripe gum. I know, right? I’m working on it! gLeaf has been busy in recent months! They recently raised $20 million for expansion throughout the Northeast and they’ve been awarded license in Ohio & Pennsylvania. Plus they’re partnering with Flying Dog Brewery to make Maryland’s first THC-infused beer! Can’t wait, baby! Area 5 are the Shore Babies! Eastern Shore, Norfolk, Chesapeake, Hampton and Virginia Beach plus the surrounding counties will be served by Columbia Care. They have selected Portsmouth as their dispensary site. Columbia Care is run by former Goldman Sachs employees Michael Abbott and Nicholas Vita. Gross. But we all have a past, do we not? I had something of a shoe-sniffing problem myself once. I’m still not allowed on the third floor. NY based Columbia Care is humongous. They’re opening the first dispensary in Manhattan. They’ve got operations running or planned in CA, AZ, DE, FL, IL, MA, NJ, NY, OH, Puerto Rico, freakin’ Malta. Not only that, they own a little shop in DC, too- Capital City Care. Duh duh duuh! I really liked the most recent CCC Chocolope flower I had. Then they had a fire in the building- it’s been closed for repairs since. Hope they’re back up and running soon! And just for giggles, Columbia Care is opening a dispensary in Maryland soon, too. Dharma Pharmaceuticals is the other Virginia start-up to earn a license. They’ll be covering Area 3, the southwestern part of Virginia, including the cities of Radford, Covington, Salem, Bedford, Lynchburg, Danville and Martinsville. Very little info available on Dharma’s website besides address & phone number. The Washington Post calls them a mom-and-pop operation. Looks like they partnered with Blue Diamond Consulting on their winning application. Dharma is led by Michael Johnson, a pharmacist from Abingdon who also runs a drug store called Michael’s Pharmacy. Awww. They’re totes adorbz you guys. Dharma was planning to open in the old rundown Bristol Mall, a two hour drive from the Roanoke community also under their purview. Looks like they might be sharing the space with a casino! They’re none too pleased about it and are trying to arrange an alternate location, but their relocation permit was denied. I’d anticipate delays opening this dispensary. What Health Service Area Are You? 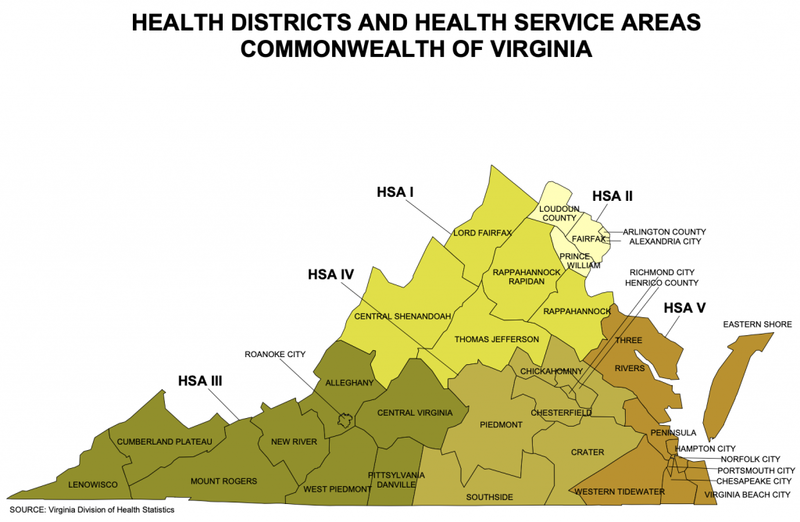 Here’s a link to the list of counties and cities assigned to each cannabis Health Service Area in Virginia. How Do I Sign Up as a VA patient? And here’s a patient FAQ! And a TLDR about the unique quirks of Virginia’s medical program from yours truly. 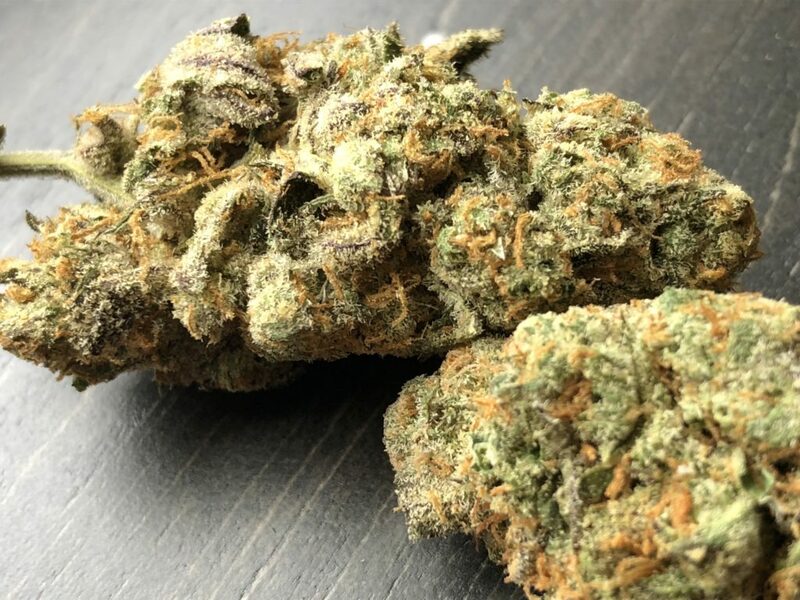 CBD, Concentrate, Dispensary, Edibles, Medical, THCA, Virginia. Bookmark.